This very strange-looking flower originates from South Asia, where it occurs from Bhutan to Bangladesh. 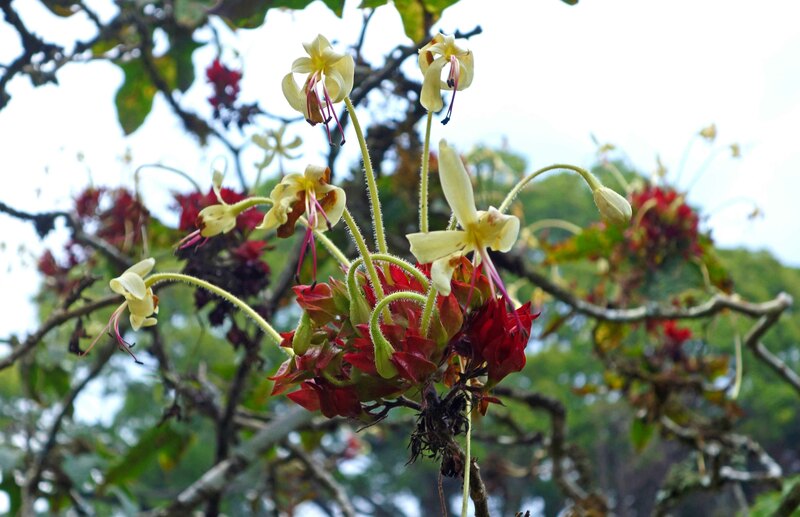 There are more than 500 species in the genus Clerodendrum L. (Family: Lamiaceae), widely distributed in tropical and subtropical regions. Many of these small trees and shrubs are used in traditional medicine and are known to be active against ‘a wide spectrum of disorders’ possibly including HIV (1). Plants have been on this earth for very much longer than us, and have evolved ways of protecting themselves using a host of organic molecules. These same molecules could also help to protect us – from microbes, from aliments, from diseases and from cancers – if we can only find them and put them to good use. Shrivastava, Neeta, and Tejas Patel. 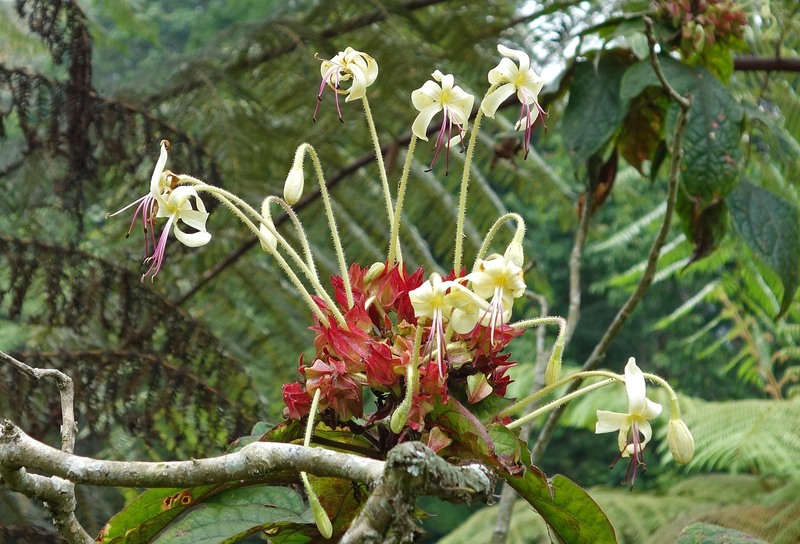 “Clerodendrum and heathcare: an overview.” Medicinal and aromatic plant science and biotechnology 1.1 (2007): 142-150.